Back in 1990, author Paul Levine introduced readers to Miami Dolphin-turned-lawyer Jake Lassiter in To Speak for the Dead. To Speak for the Dead was notable not just because it was a tightly plotted novel with a good swath of humor, but also because it was one of the novels that ushered in a new wave of Florida mysteries. 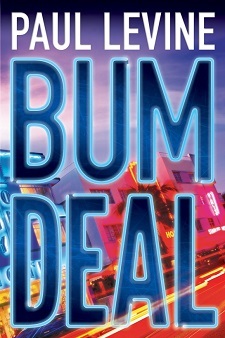 Now, Bum Deal, the 13th novel in this series that has been spread over 28 years, will be the finale for Jake. The reason for Jake’s departure makes perfect sense—it’s his health. “Jake’s been having these problems—fights with prosecutors and judges, memory lapses, confusion, headaches—and it’s time to say goodbye,” Levine stated in a newsletter. “Dr. Melissa Gold, a neurologist who treats Lassiter during office hours and spends sultry nights with him in his Coconut Grove house, fears he may have chronic traumatic encephalopathy (CTE) as a result of all those concussions on the football field,” Levine added. With CTE in the news a lot lately, it’s also a timely topic. Of course, Jake will not take retirement quietly. In Bum Deal, Jake undergoes experimental treatments, and makes a major career change. 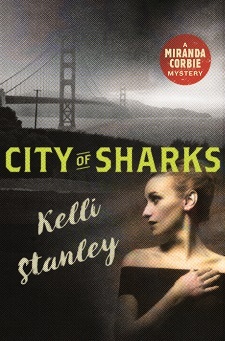 He switches sides in the courtroom and prosecutes a surgeon accused of killing his wife. Jake probably should have paid more attention to the law part of Law & Order. The case seems impossible with no forensic evidence, no witness, and no body. Add to that, Jake’s best friends, lawyers Steve Solomon and Victoria Lord, are defending the surgeon. “Drained of his mental edge just when he needs it most, my old courtroom warrior faces the possibility of losing the case,” added Levine. One of the hallmarks of the Lassiter series was Levine’s look at South Florida. Now it seems everyone knows how weird Florida can be—hey, I live here, folks, and I know how odd it is. In the early 1990s, Florida was still uncharted territory as far as weirdness went. But those of us down here knew that Levine was not making up these details such as the courthouse steps being cleaned daily to remove chicken parts and goats’ heads used in Santeria rituals. Jake would sometimes lose his way in Little Havana because numbered streets were renamed to honor heroes favored by the Miami City Commission, such as General Maximo Gomez Boulevard and Jose Canseco Street. Happy retirement, Jake. You were great fun. "It is really a very hard life. Men will not be nice to you if you are not good-looking and women will not be nice to you if you are."